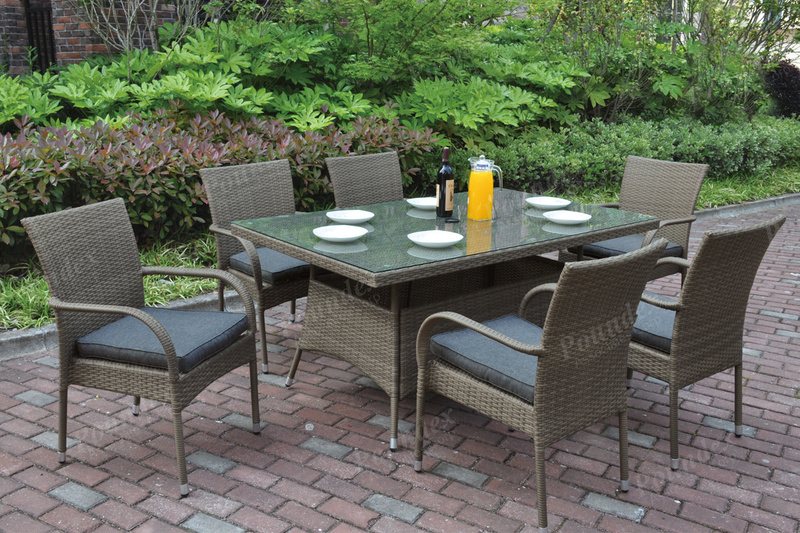 Fusing the classic with modern elements this 7-piece patio table set enhances any outdoor dining space with exquisite décor. 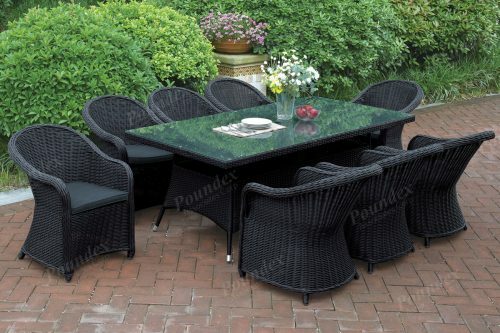 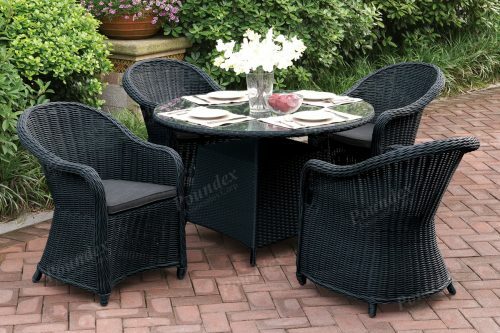 Each piece of furniture comes in a resin wicker and an all-weather aluminum frame that is also rust-free. 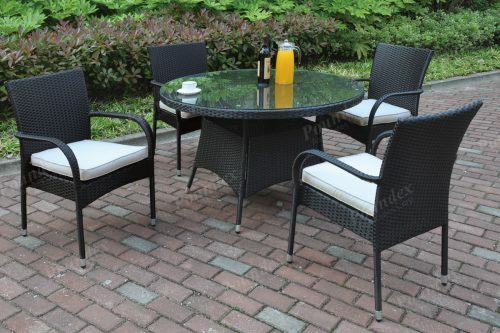 Chairs are of a simple design with lean curved arm rest and seat cushions for extra comfort. 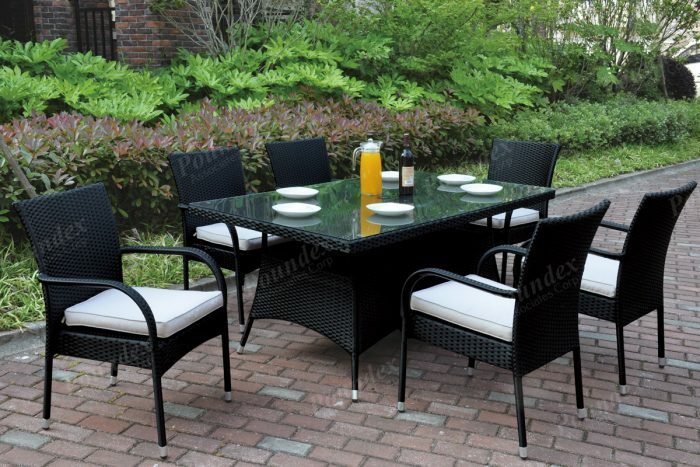 The rectangular shaped table features a wide base adding a dramatic presence. 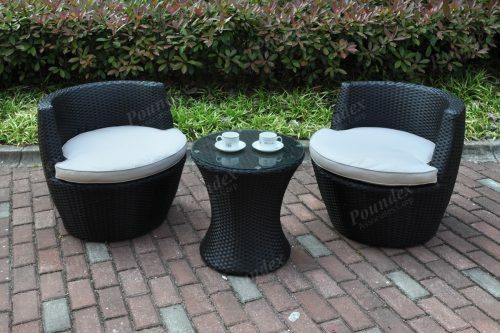 Available in dark brown or tan.